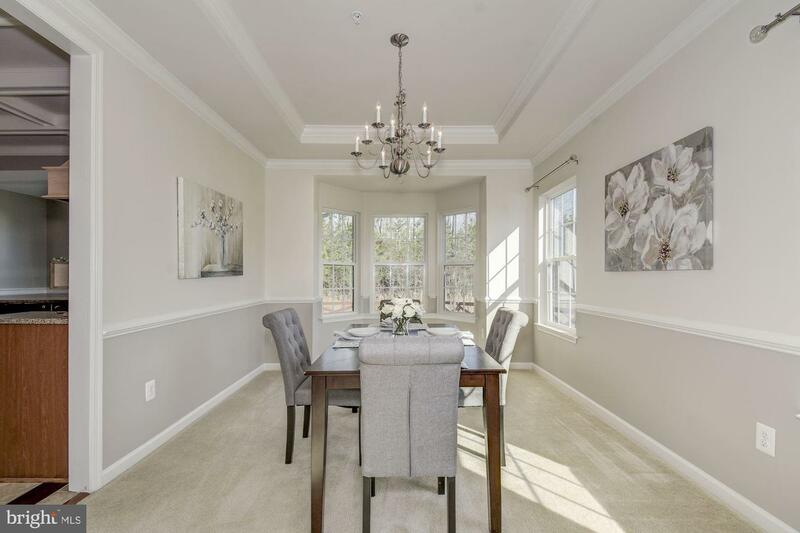 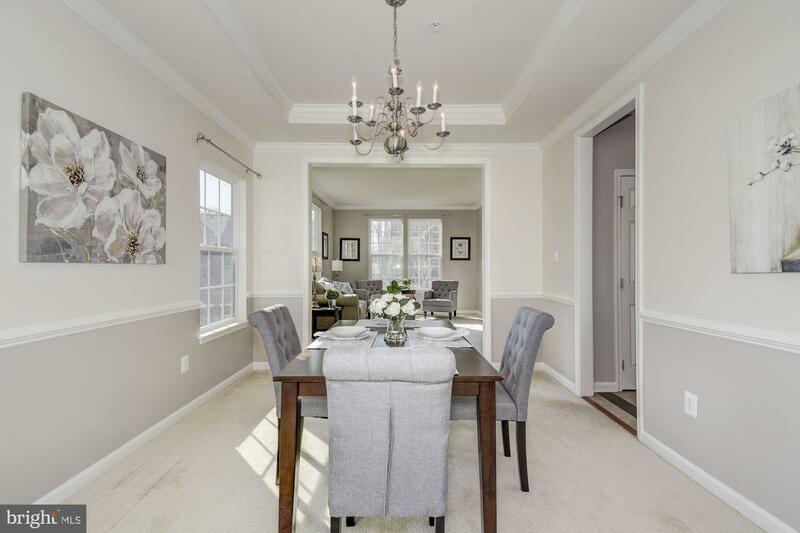 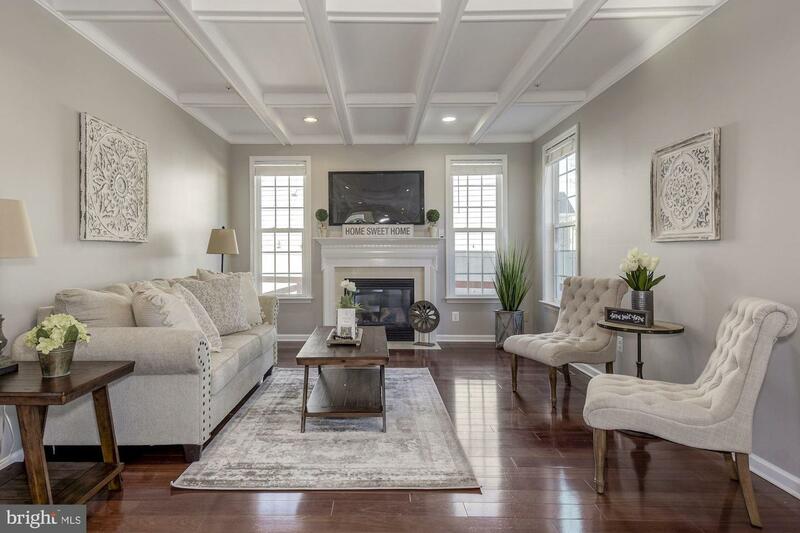 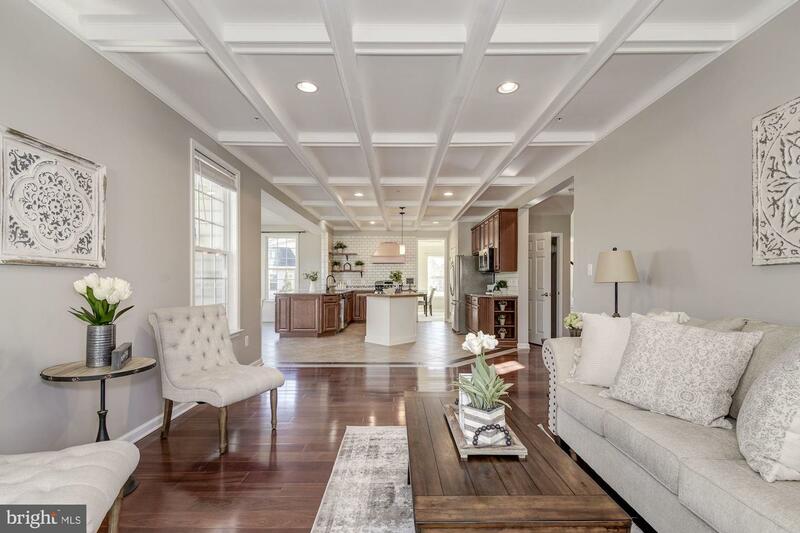 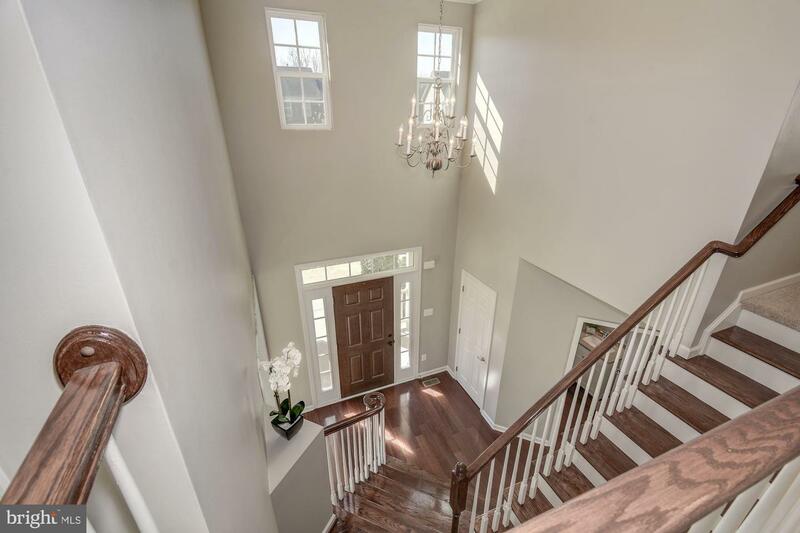 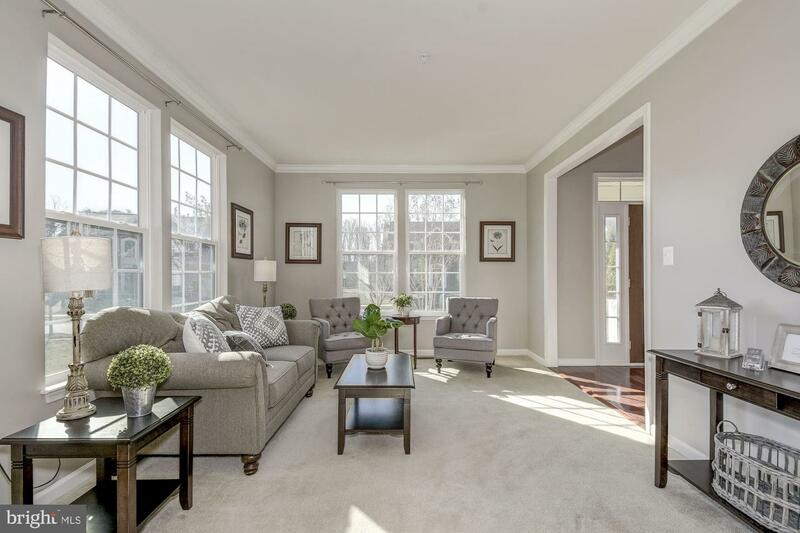 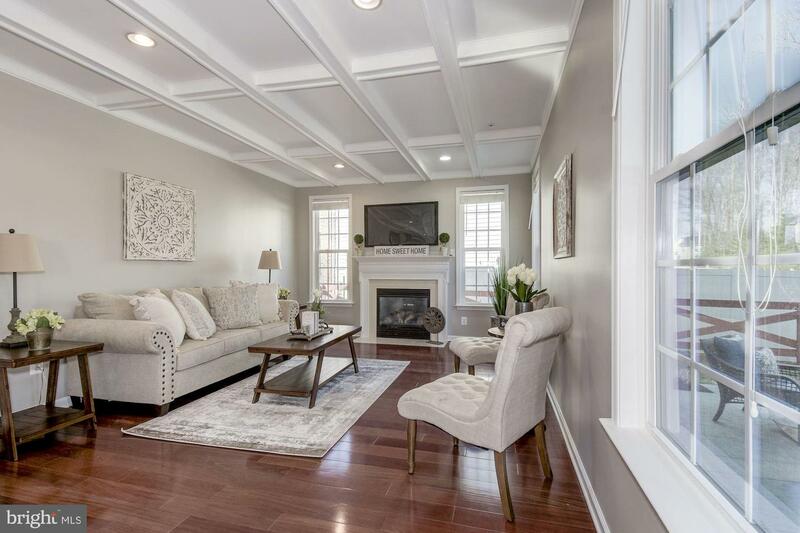 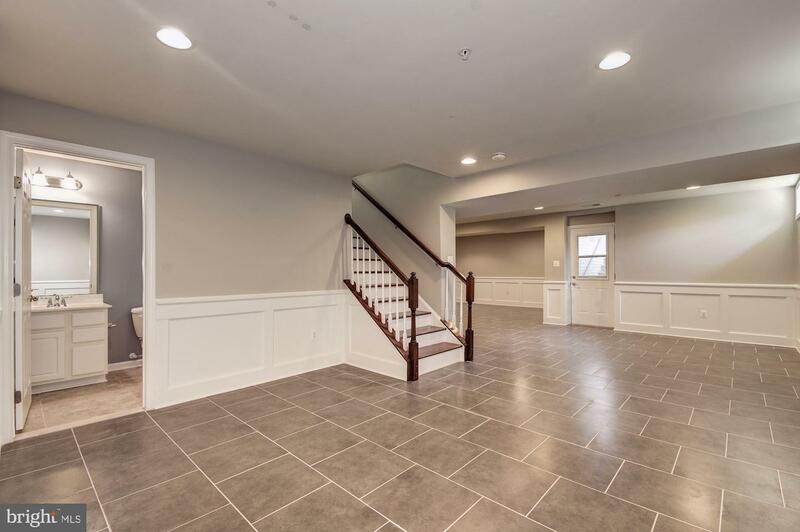 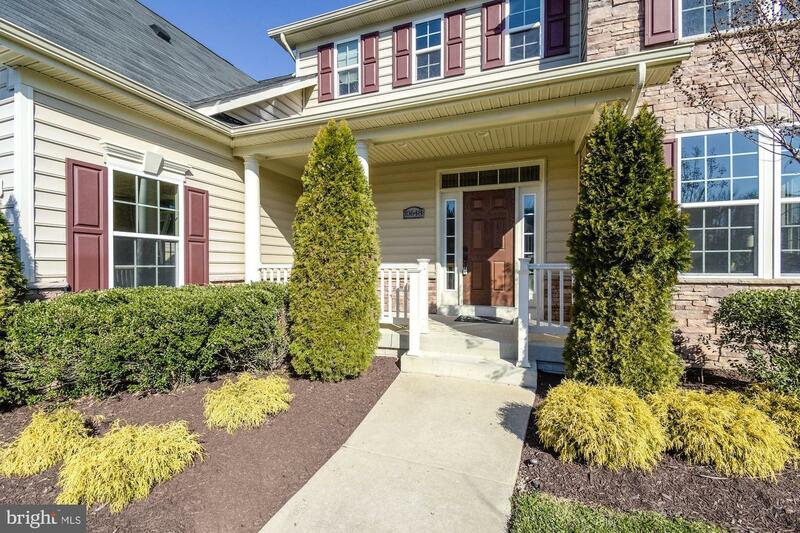 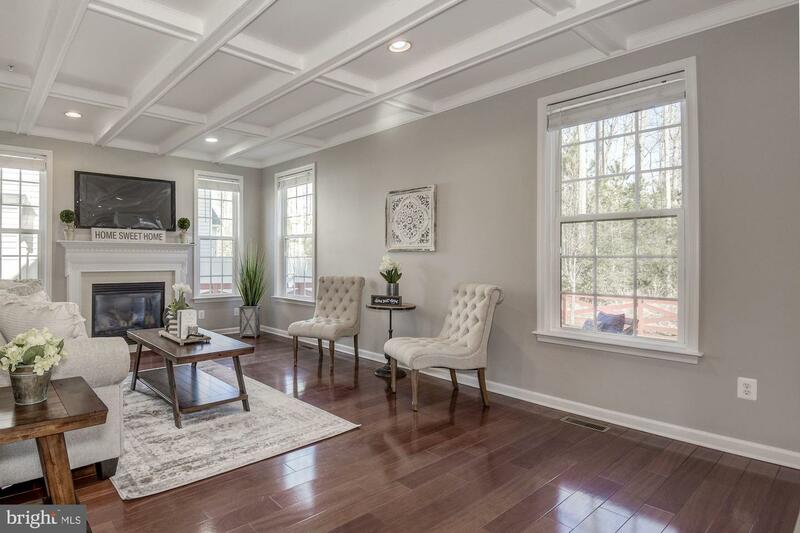 Wonderfully spacious and private, 4-bedroom, 3.5-bath colonial with 2 car garage and more than 3,800 square feet of finished living space on almost a quarter acre.Stepping inside, your front door opens to a two story foyer with wide plank Brazilian Cherry floors and elegant waterfall staircase. 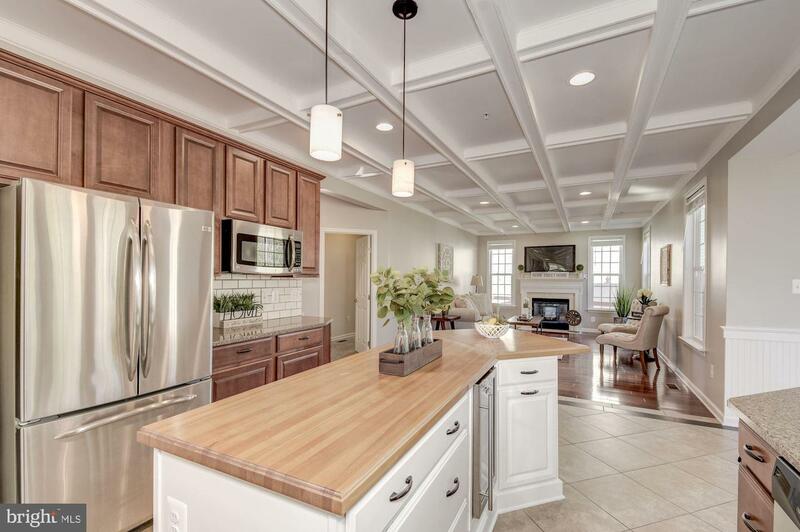 The fully equipped kitchen features a custom center island with butcher block countertops and integrated wine fridge. 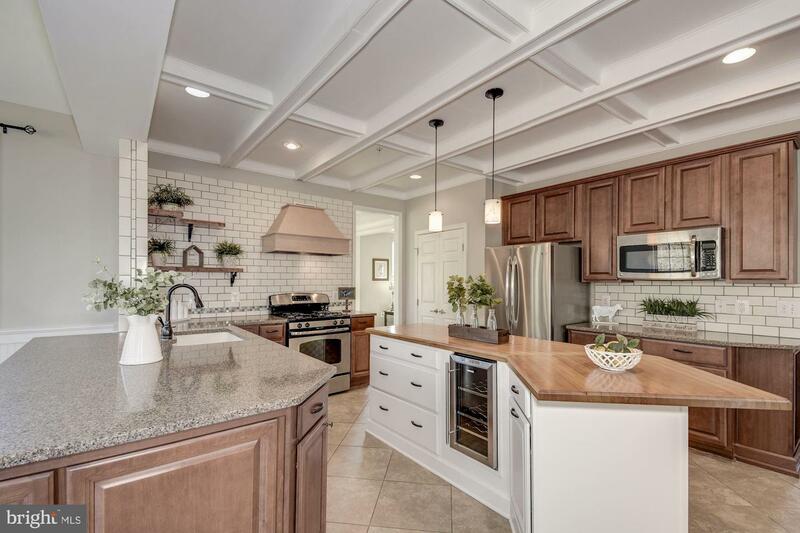 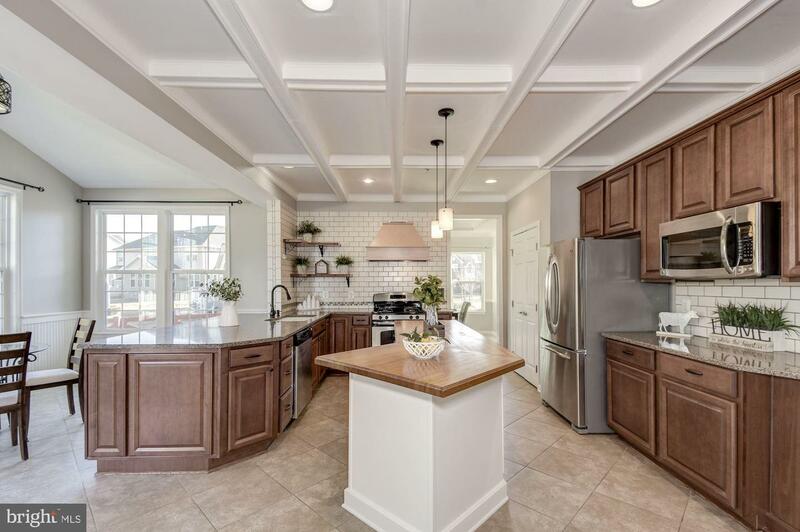 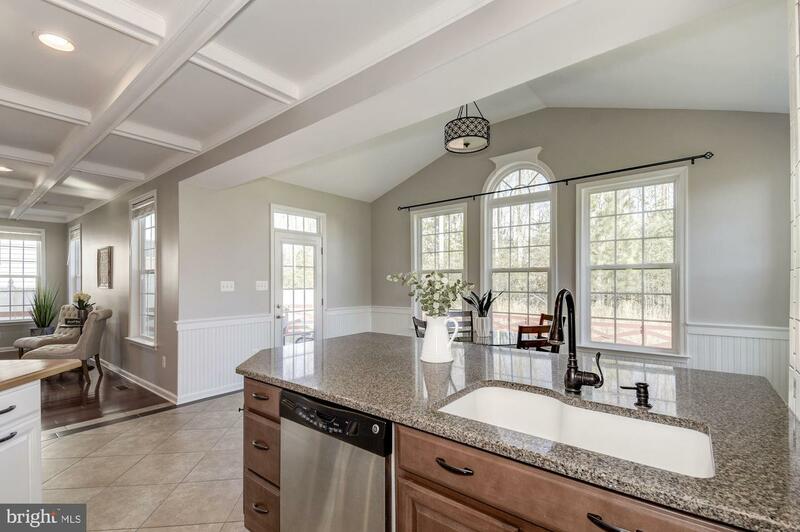 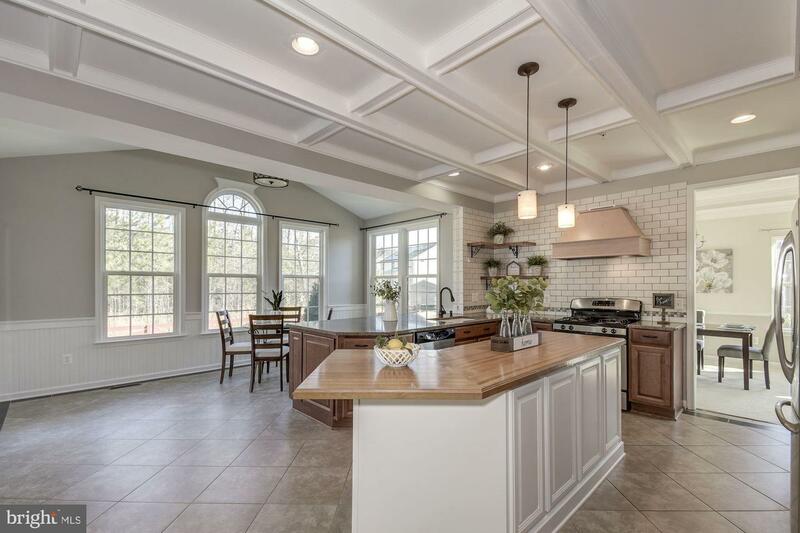 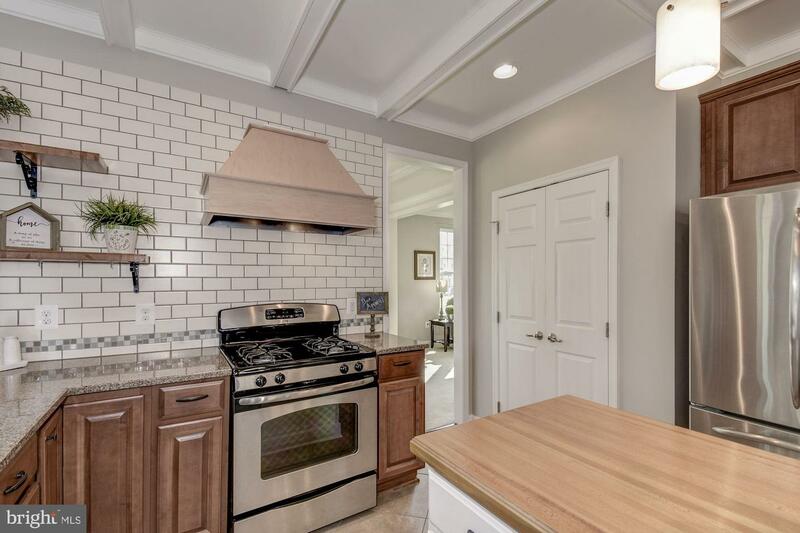 Quartz countertops, stainless steel appliances, floating butcher block shelves, custom vent hood and pantry complete the kitchen with upgraded style. 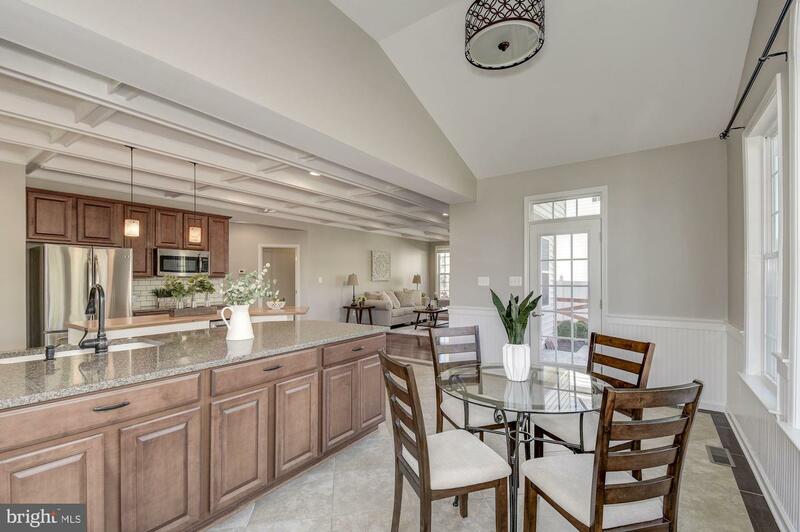 Completing the open concept design, the kitchen flows seamlessly into the morning room and beautiful family room with gas fireplace. 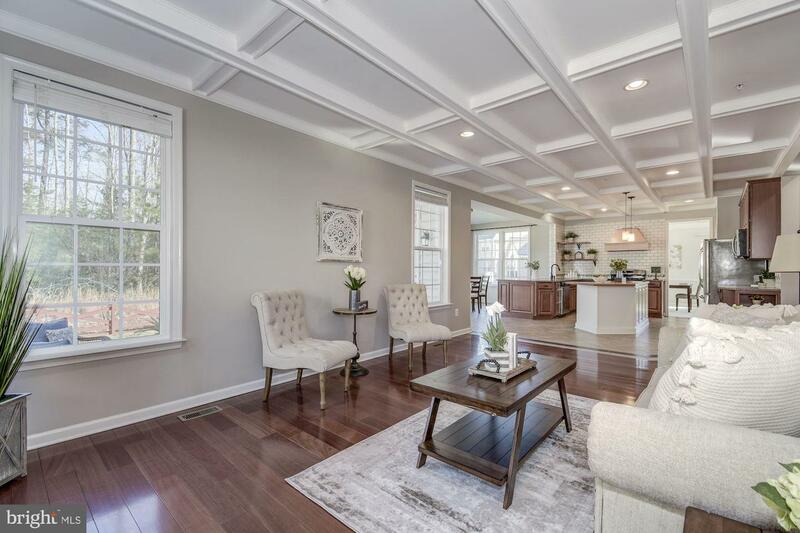 A full formal dining room with tray ceiling opens to the formal living room with coffered ceilings rounding off the main floor living space. 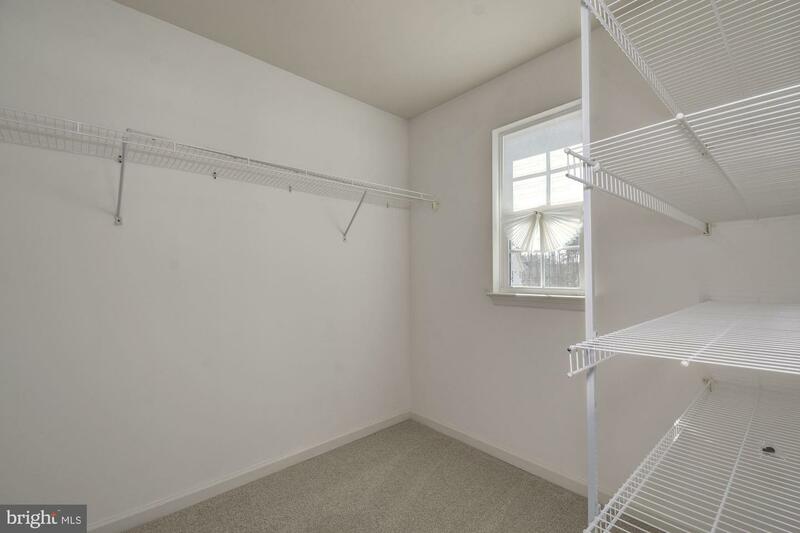 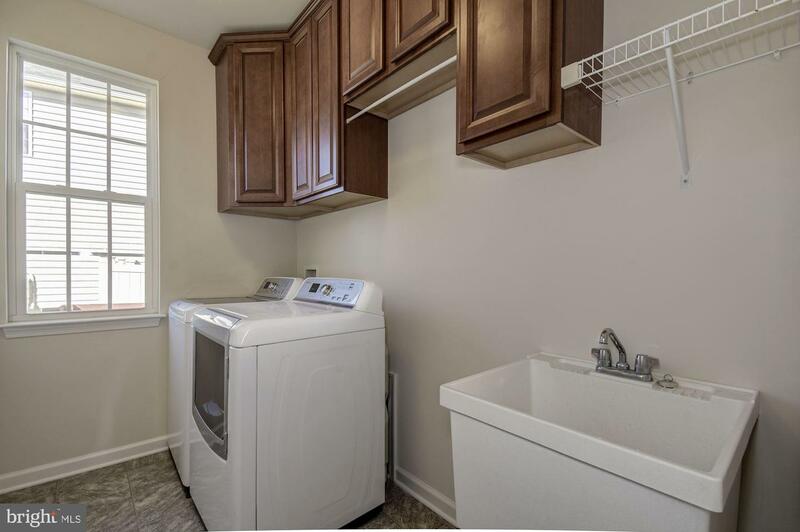 You will also be sure to utilize the mudroom entrance from the garage and laundry room with energy efficient appliances. 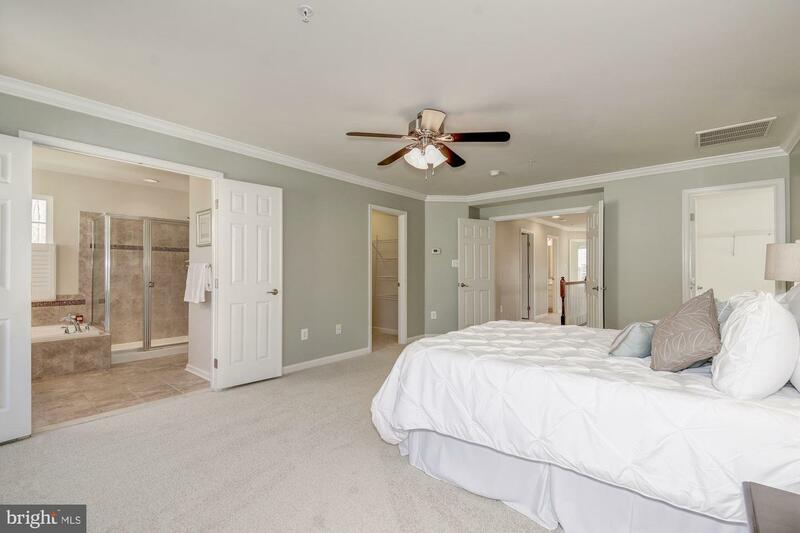 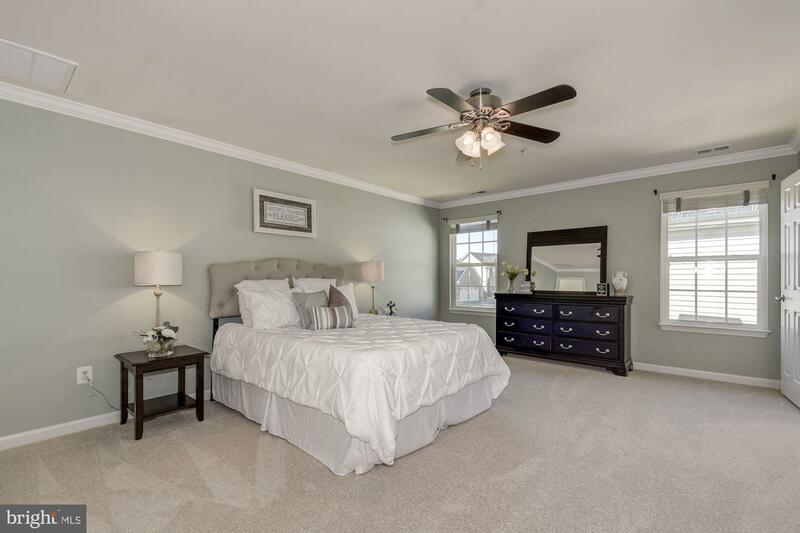 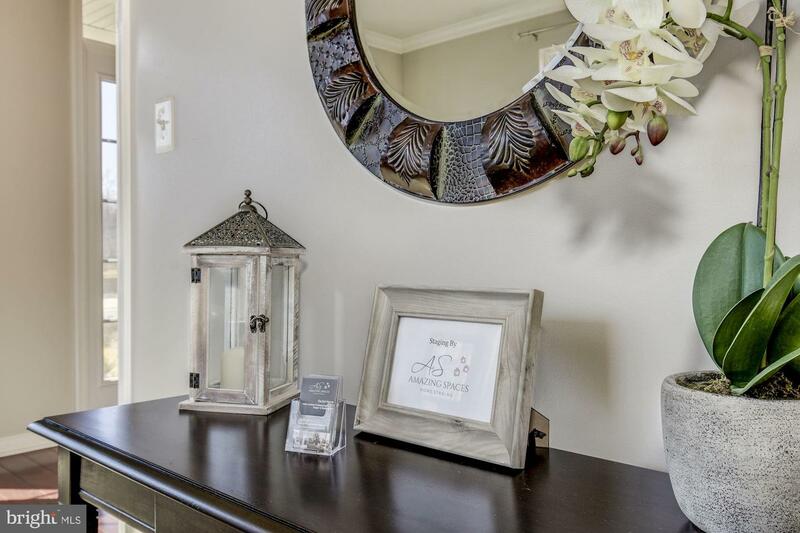 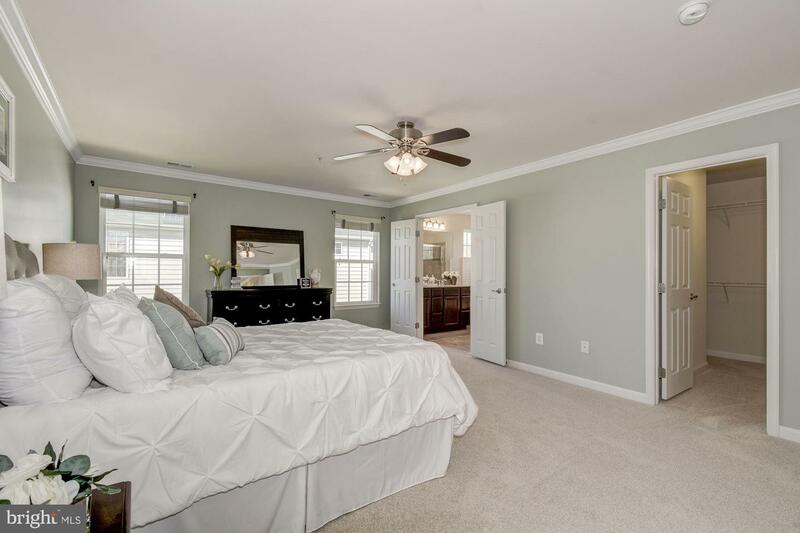 The master suite includes a large soaking tub, separate shower, and two walk-in closets. 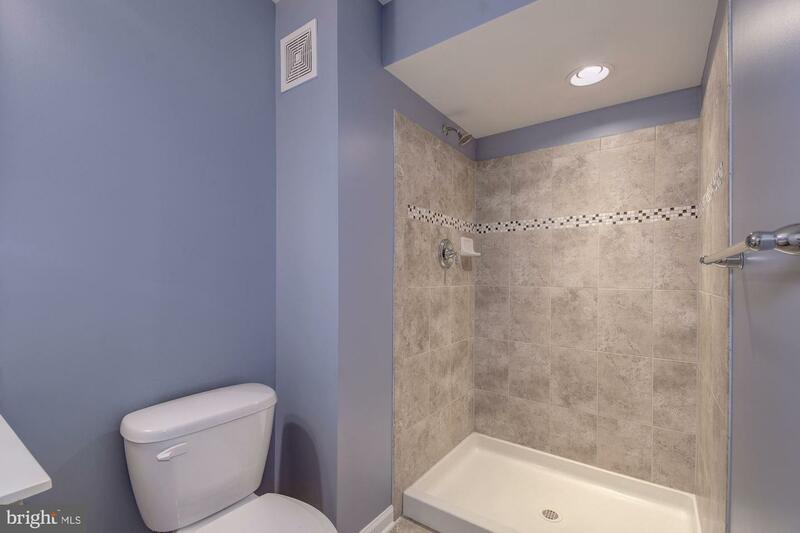 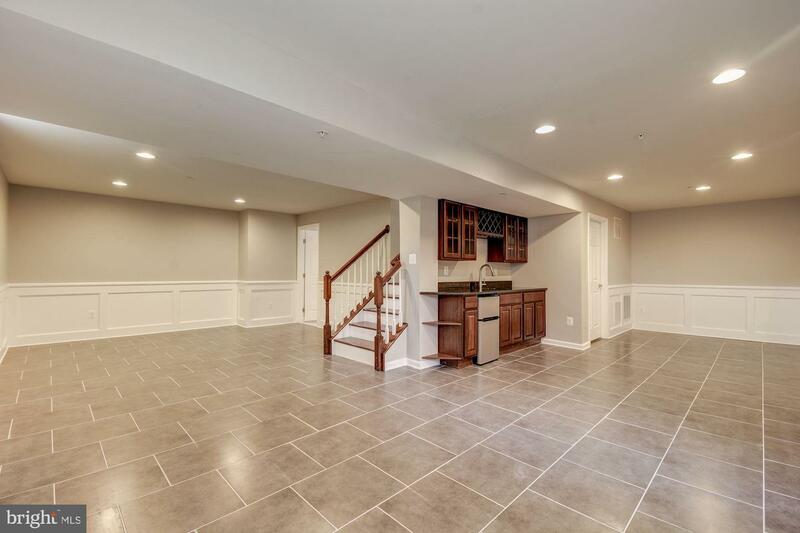 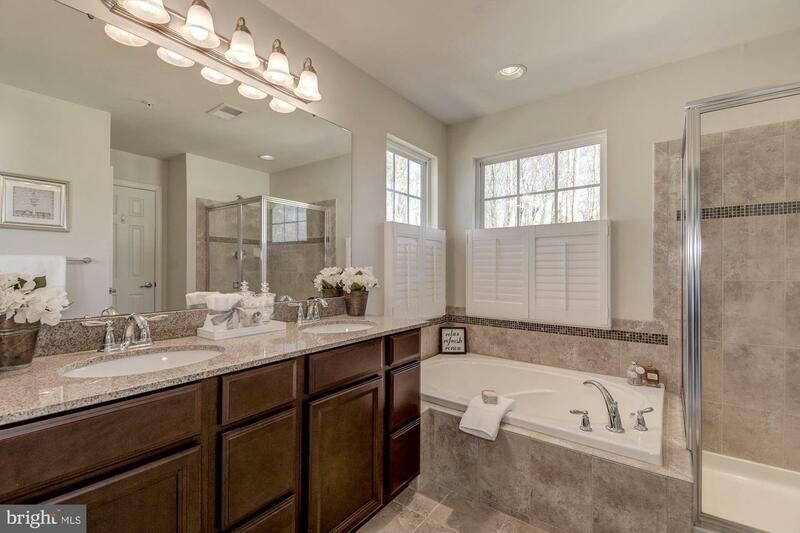 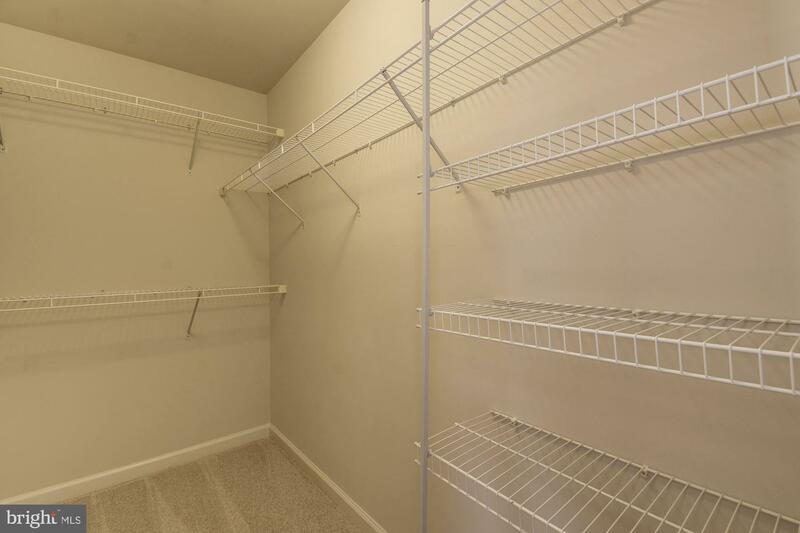 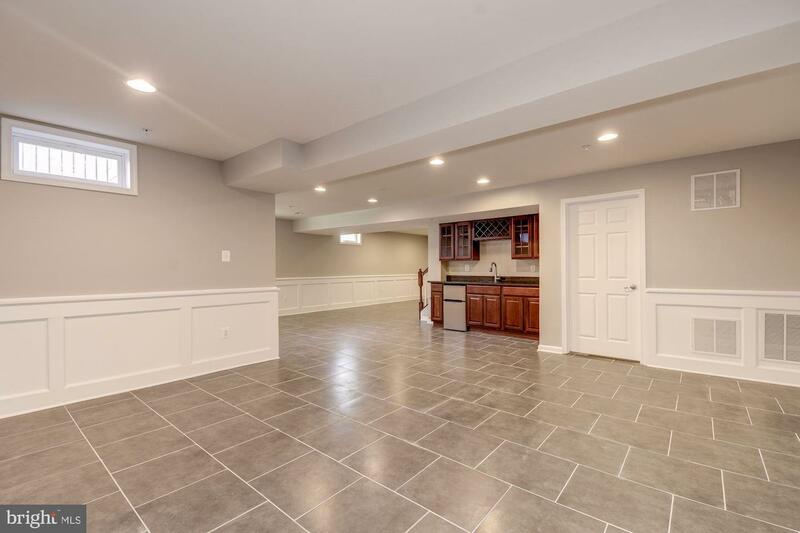 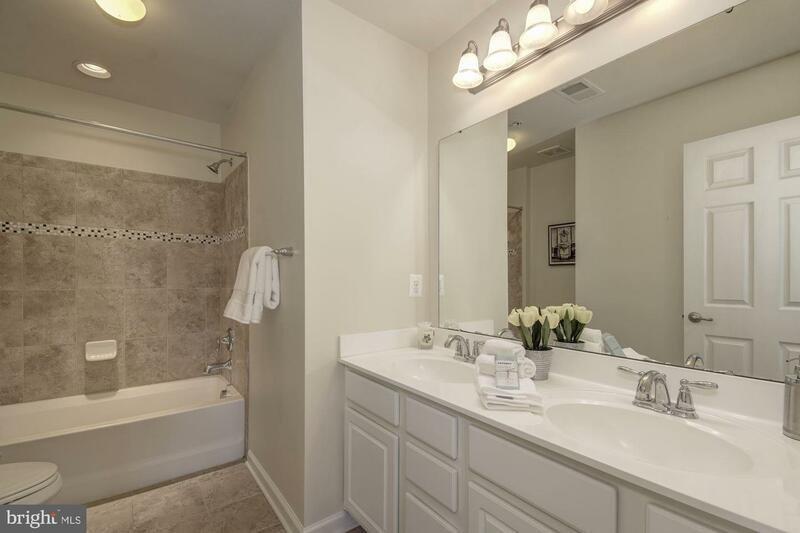 The expansive basement includes full bath, custom wet bar with cherry cabinets and modern tile floors. 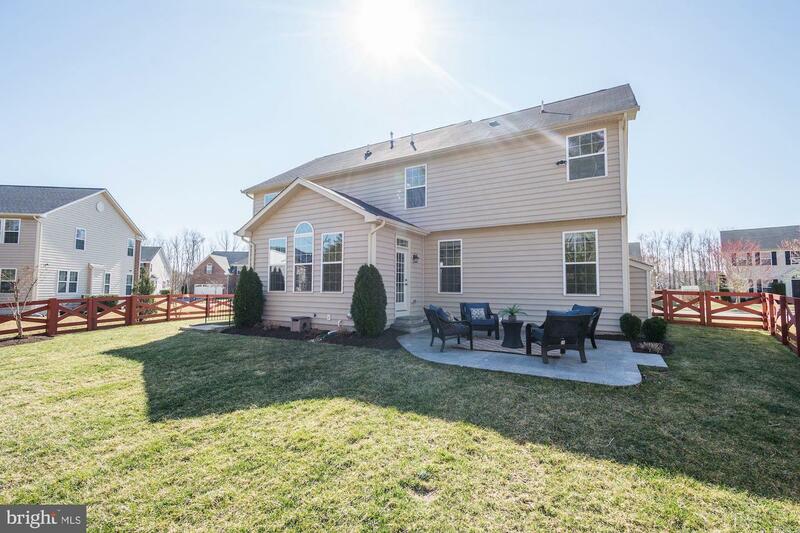 Backing to a wooded conservation area and adjoined to a grassy easement, you will enjoy the quiet privacy from your back patio with fully fenced in yard. 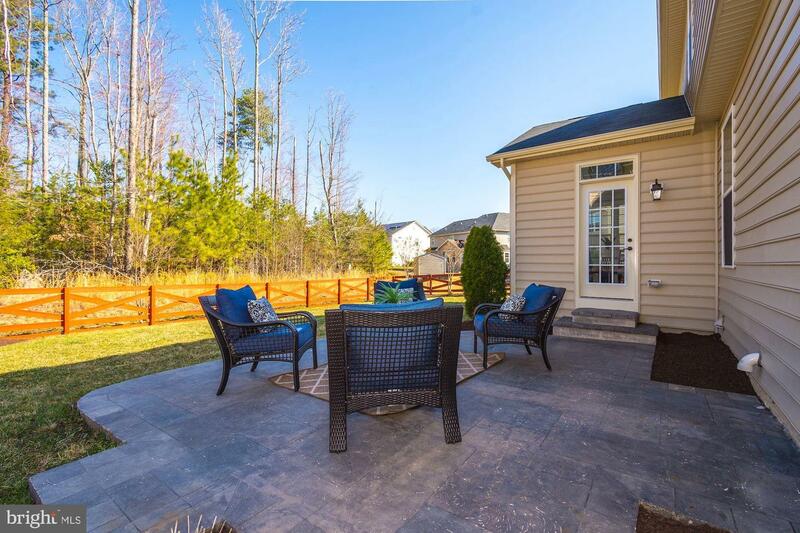 A professionally installed 7 zone in ground programmable sprinkler system will keep your yard lush and green all year long. 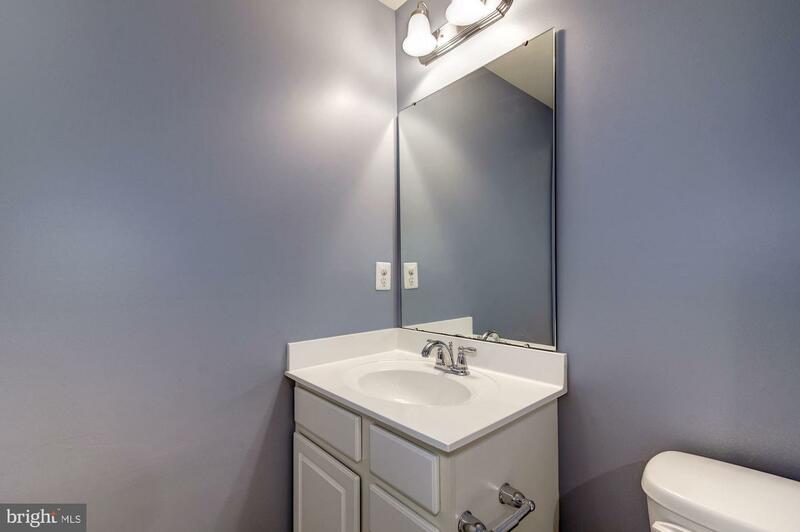 You will feel instantly at home. 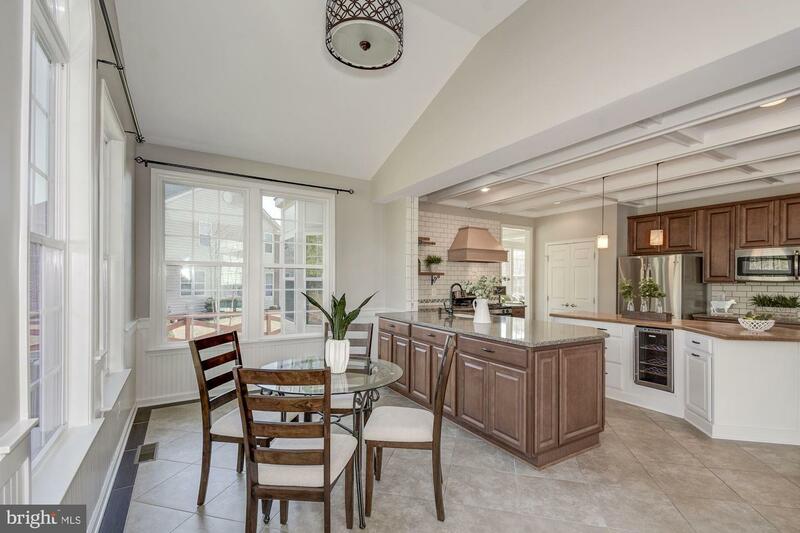 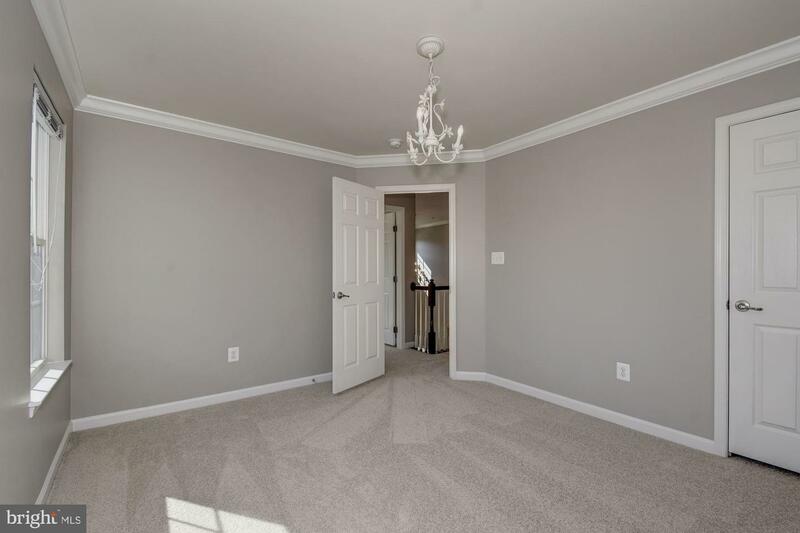 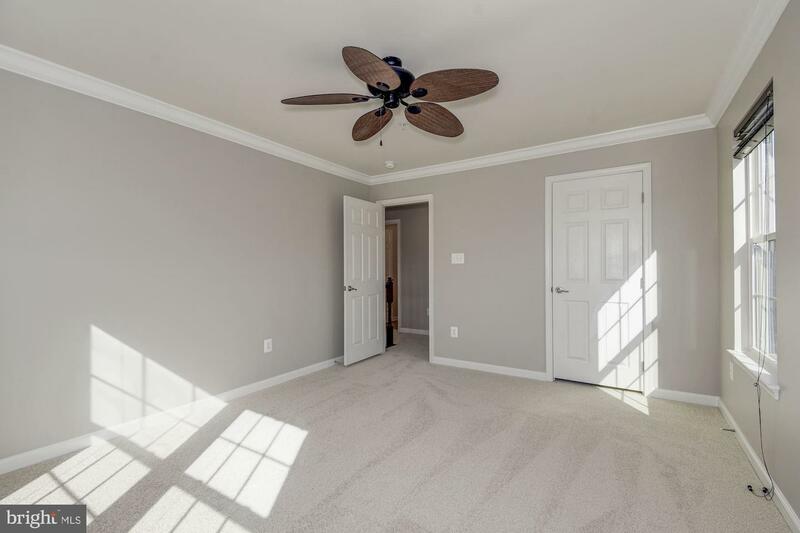 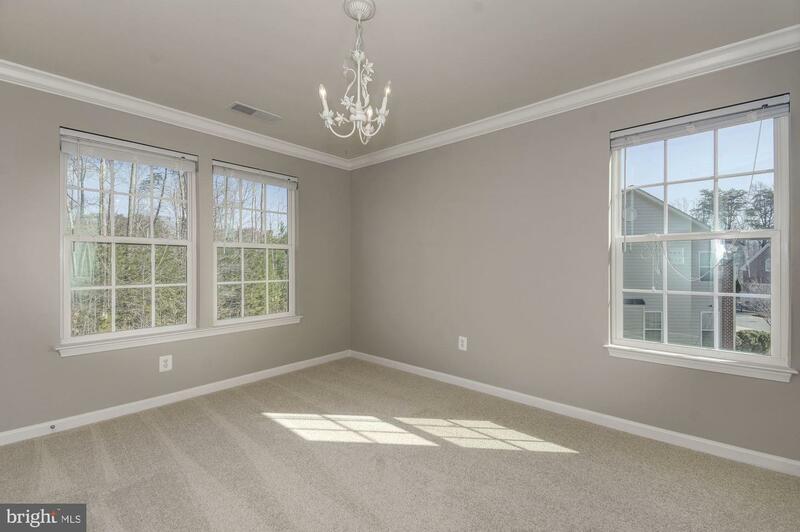 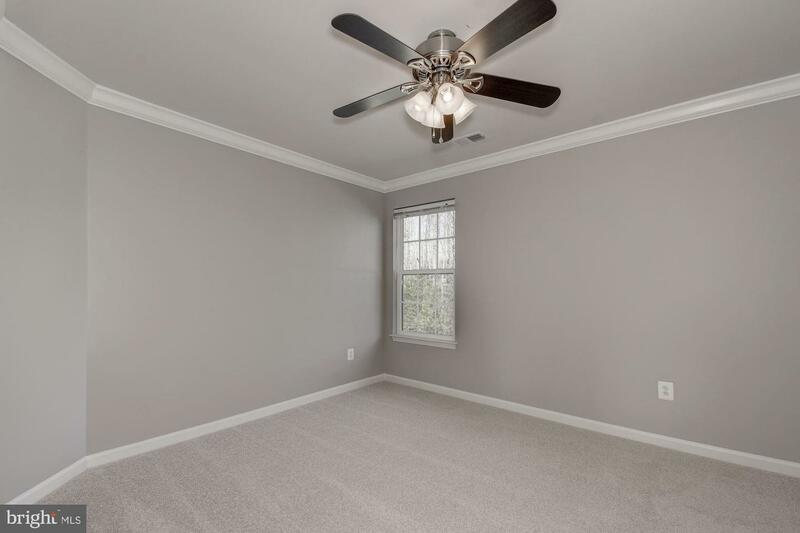 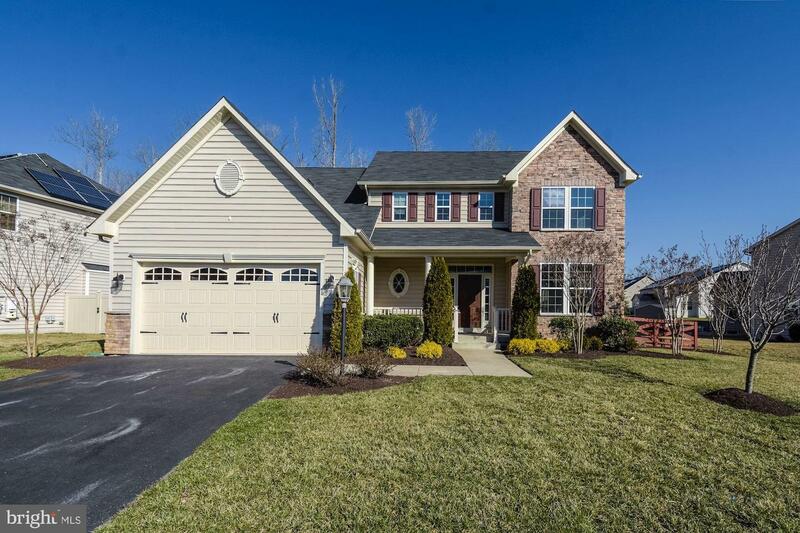 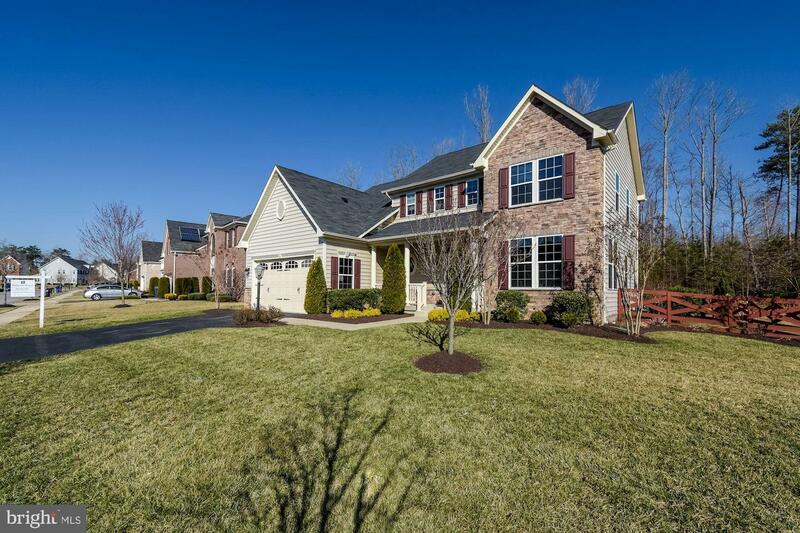 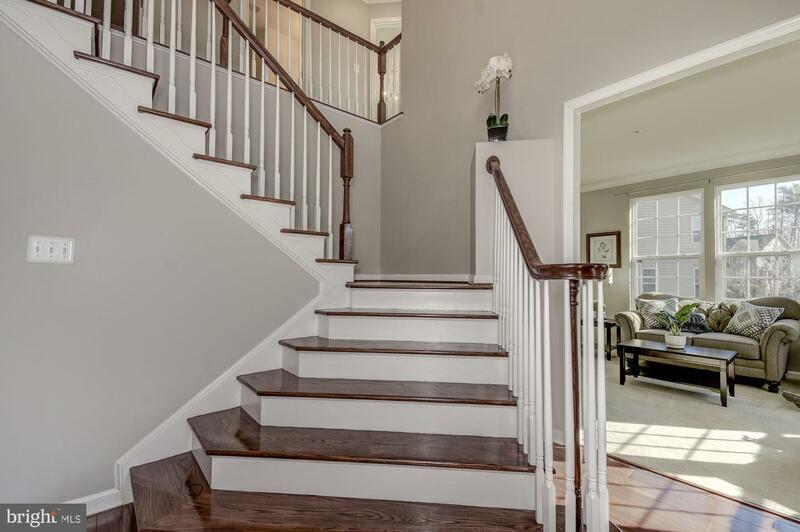 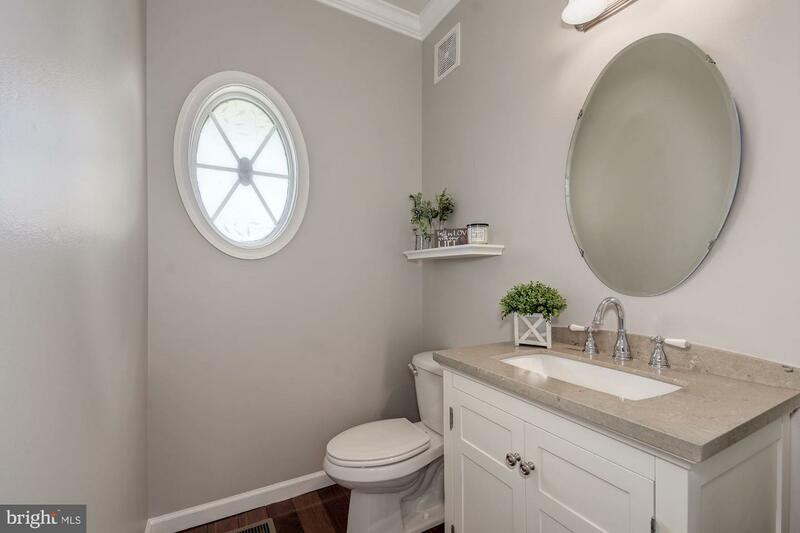 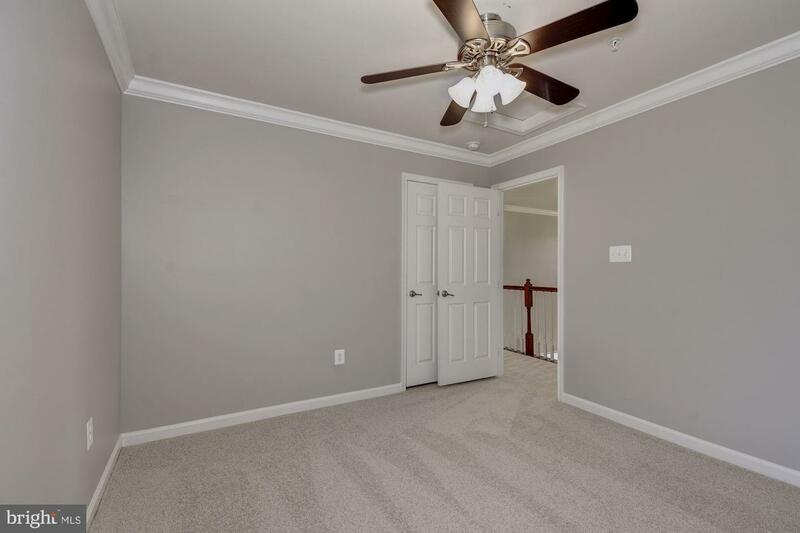 Amazingly close to shopping, restaurants, and the best Charles County schools. 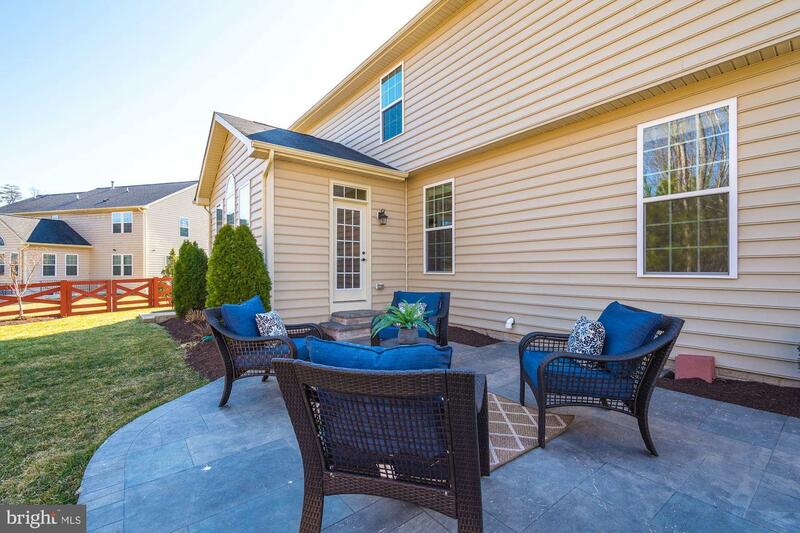 Make this one yours!